This is the third box I got today via Caliver Books. 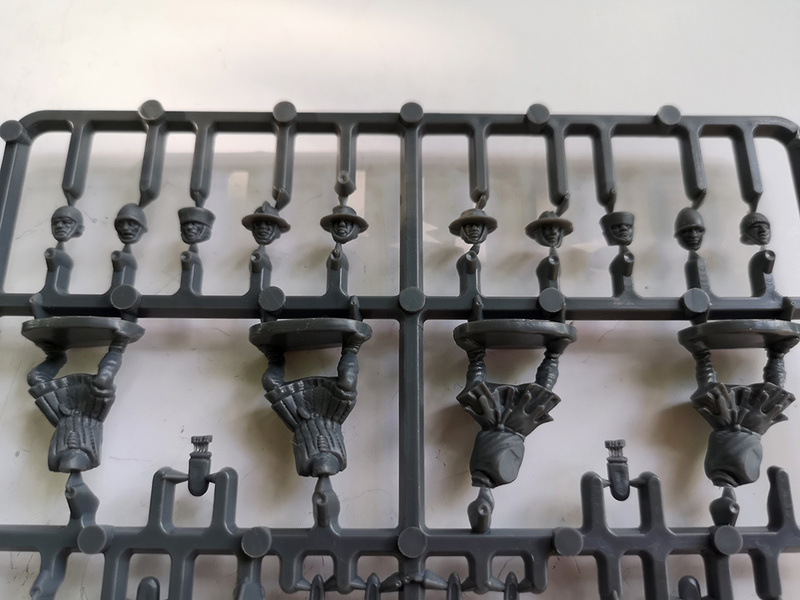 Caliver has become one of my more regular suppliers; I like their prices and the fact that order of wargames figures over £20 come post free, though you do get a surcharge for using Paypal which is probably equivalent to a postal charge. I fell foul of this a couple of times but now just use a bank card rather than PayPal and you avoid the extra charge. 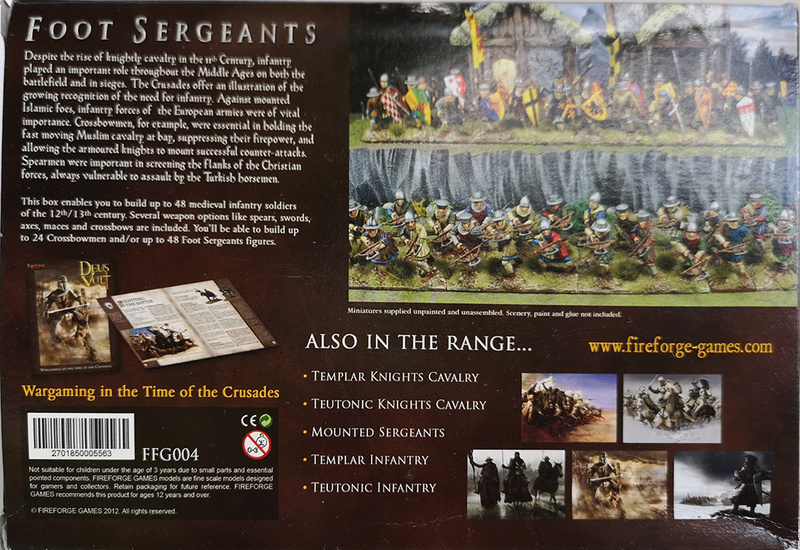 So with two boxes of cavalry (Templar Knights and Sergeants at Arms) I thought I’d better order some infantry. 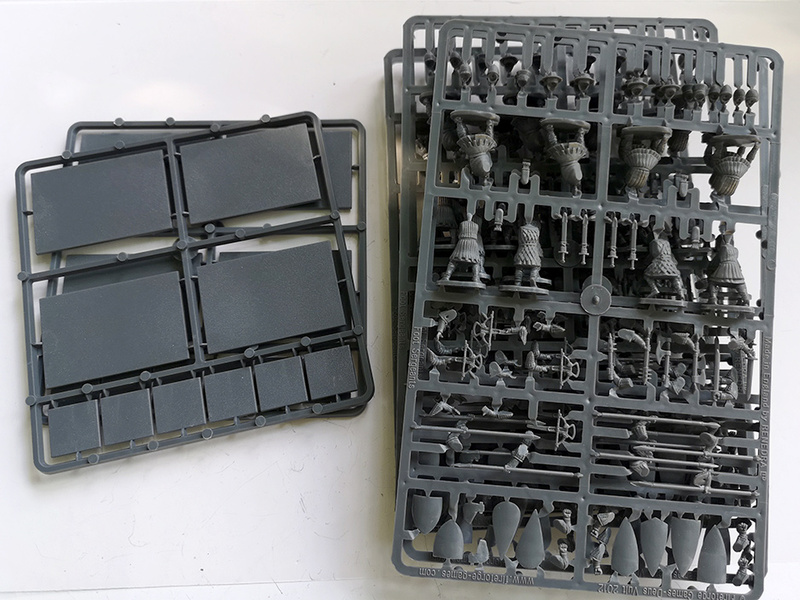 The Foot Sergeants box seems to fit the bill. 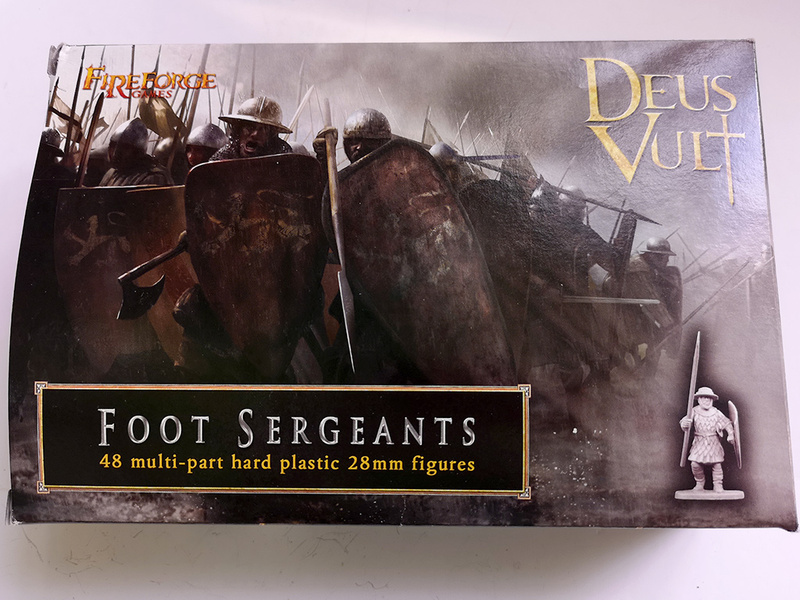 It’s an extra £8 or so over the price of the mounted units but you do get 48 figures in the box. 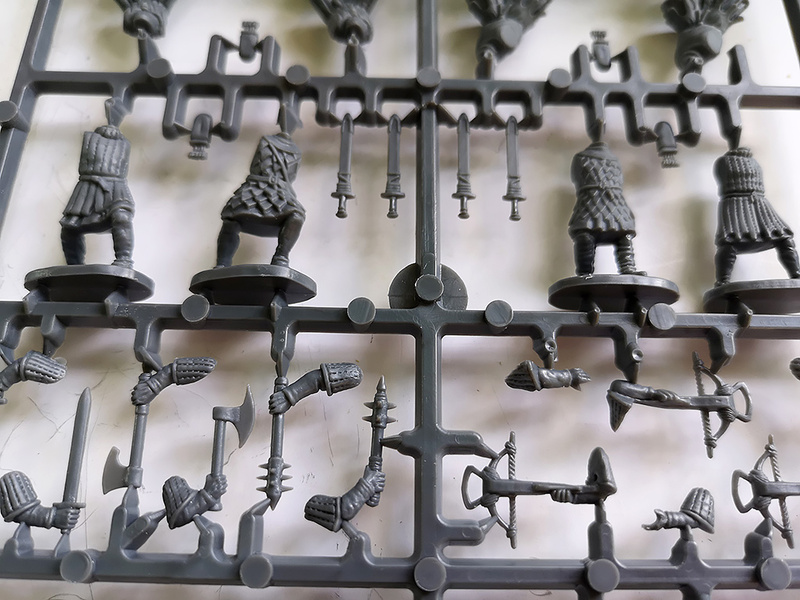 It comes with a selection of weapons and if desired, you can build up to 24 of them with crossbows. 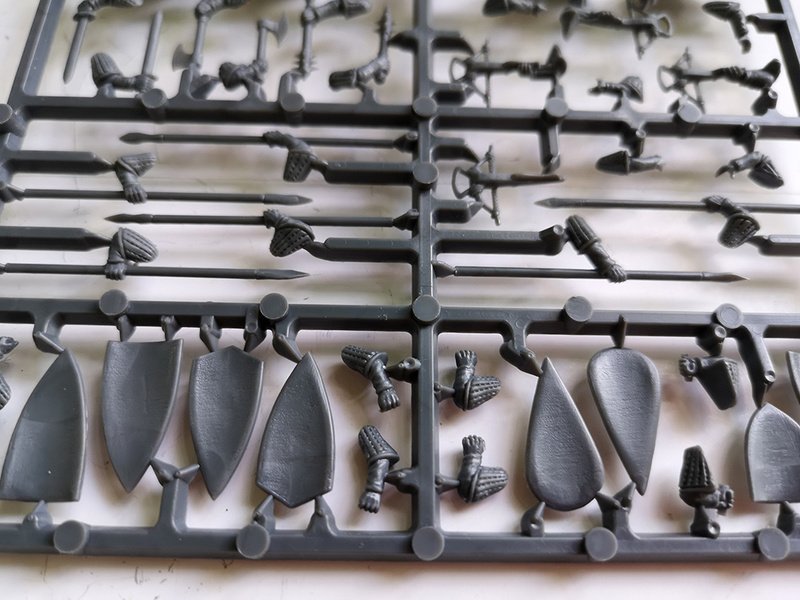 There are also swords, axes, maces and spears. You get three types of shield but there are no extras so you are stuck with the ones supplied. 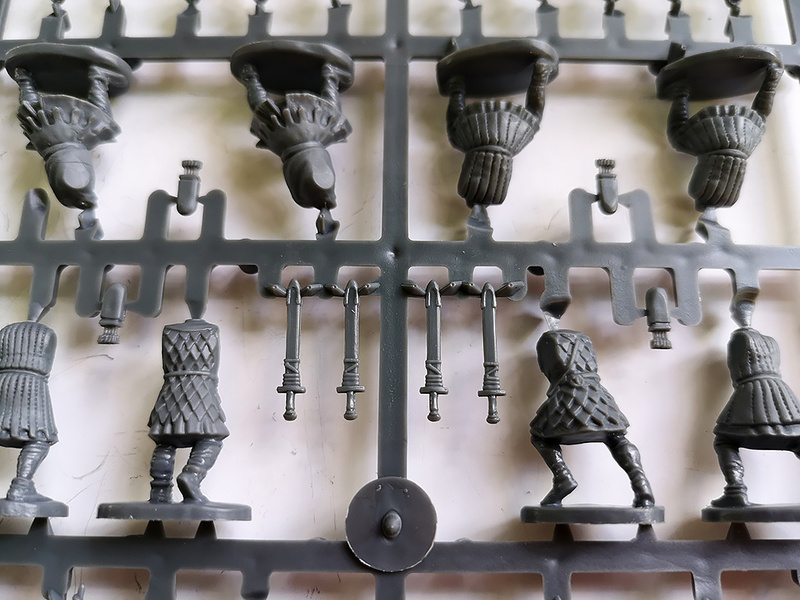 Each sprue – there are 6 identical – comes with 8 figures and 10 heads. In summary, I’m liking the look of all three boxes and will probably try and get the others in the set. You can see an unboxing video below.